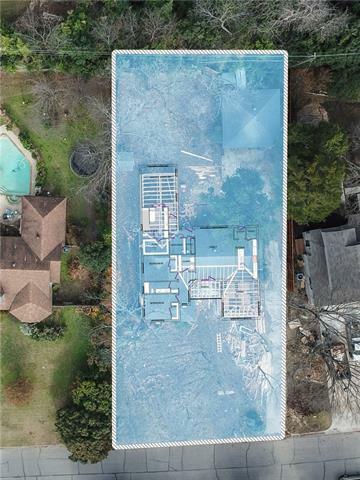 All Casa Linda Estates homes currently listed for sale in Dallas as of 04/22/2019 are shown below. You can change the search criteria at any time by pressing the 'Change Search' button below. "A Diamond in the heart of Casa Linda Estates, with fantastic curb appeal! This beautiful home combines the charm and character of the old and the new with modern updates, including a recently remodeled huge gourmet kitchen equipped with granite counter tops, patterned glass backsplash, an expansive island, and new appliances. Enjoy family fun in an enormous living area. Large master with fireplace and walk-in closet. The award-winning yard with more than a half acre with towering trees, fabulous"
"A stunning surprise in the heart of Casa Linda Estates! This 4-3 beauty combines the charm and character of its 1945 architecture with modern updates, including a recently remodeled huge gourmet kitchen equipped with elegant quartz counter tops, patterned glass back splash, an expansive island, and new appliances. Enjoy family fun in an enormous living area with soaring ceilings, a custom Virginia ledge stone fireplace surrounded by floor to ceiling windows bringing the outside in. 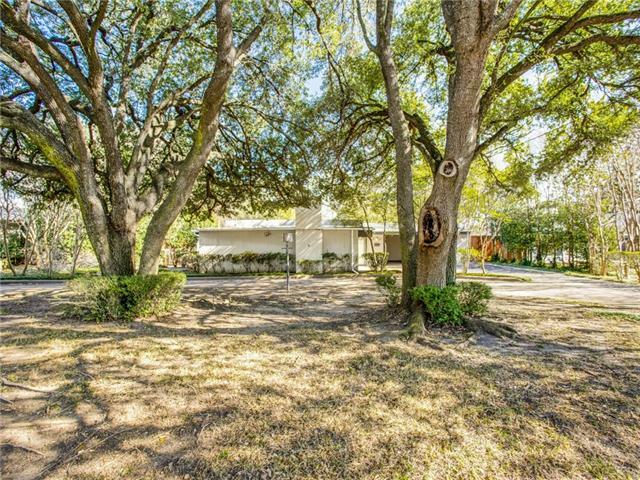 Large master "
"Rare, original, mid-century modern home in Casa Linda Estates. Two towering Live Oak trees greet visitors in the front yard. 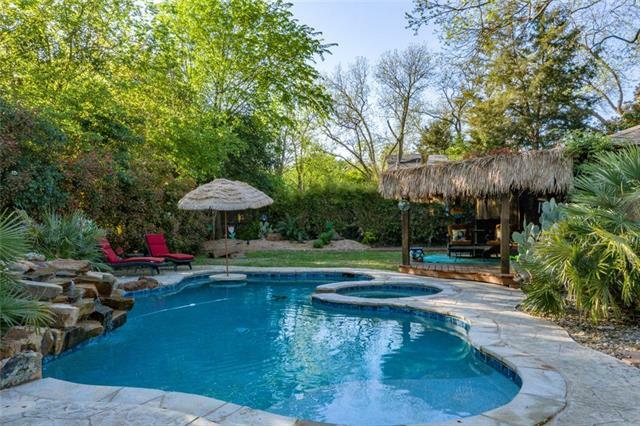 This all-original home is situated on half an acre, complete with a wooded area and water feature in the back. Lots of interesting mid-mod details including Original Geneva Kitchen Cabinets, art-deco railing on back of home, art-deco glass and iron front door, interior courtyard between kitchen and master suite, stand-alone fireplace in living room and much more. The uniqu"
"PICTURESQUE CASA LINDA ESTATES BEAUTY ON LARGE CORNER LOT 0.42 ACRE CLOSE TO WHITE ROCK LAKE!! HOME HAS BEEN TASTEFULLY UPDATED AND HAS OPEN FLOOR PLAN,2LIVING AREAS,3BEDMS,2.5BATHS,LARGE KITCHEN,OUTSTANDING ISLAND,GRANITE COUNTERS,CUSTOM CABINETS,PENDANT LIGHTS,SS APPLIANCES,DOUBLE-PANE WINDOWS,WOOD SHUTTERS,CUSTOM BLINDS,UPDATED LIGHTING,GORGEOUS HARDWOOD FLOORS,MODERN COLORS,CROWN MOLDING,BUILT-INS,UPDATED BATHROOMS,OUSTANDING 12FT.SLIDING GLASS ANDERSON DOORS OVERLOOKING DECK AREA,LARGE BACK"
"Charming Casa Linda Estates home on a .347 acre lot with many trees. The home was designed by notable Stoneleigh Hotel architect, F.J. Woerner. 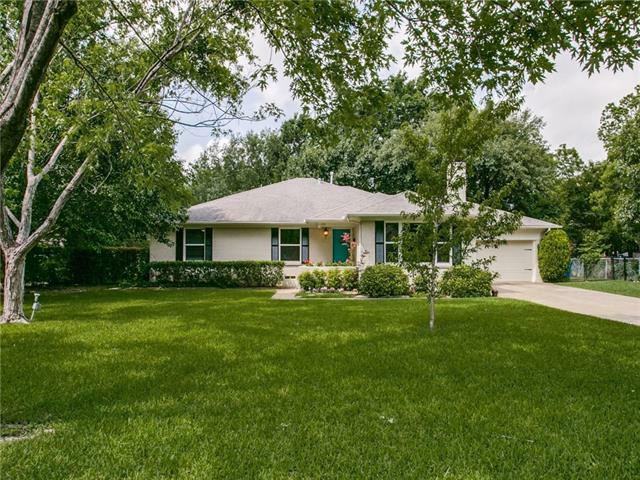 The home offers 3BRs-2.5BAs-3LAs-2DAs-2062sqft and the lot is beautifully landscaped with many native Texas plants. One bedroom with ensuite bath is located on 2nd level and 2 other bedrooms are located on 1st level with shared bathroom. The formal living area has decor fireplace facade & there is a large family room at back of home with many windows ove"
"Investment Opportunity in Highly sought after Casa Linda Estates neighborhood. This home has been completely gutted, pier & beams installed for 800 sq ft addition bringing the total sq footage to 2,511, new rooms framed & ready to finish out. Plans are available as well. This neighborhood homes sell for up to $300 per sq ft. 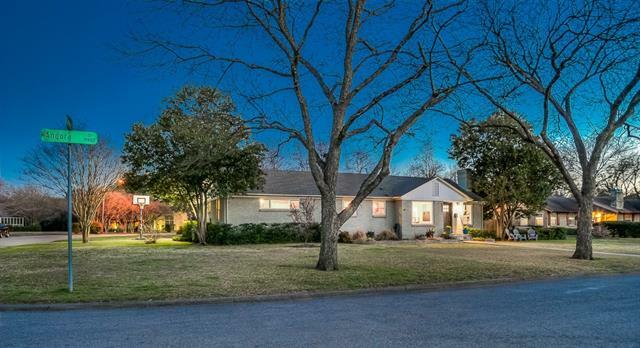 This home sits on a lot that's just under a half acre & this spacious yard offers plenty of space to entertain family and friends, or let the kids run around, play & clim"